Brackets? The Big Dance? When Do We Eat? It’s hard to buy gifts for guys. Does anyone else feel me on that? They just don’t seem to get as excited about things as we women do. But when it comes to my husband’s birthday gift this year, I feel that I really knocked it out of the park. I mean, see how pumped I am about being such a great wife? We will be taking the six-hour drive to Denver for a little March Madness. 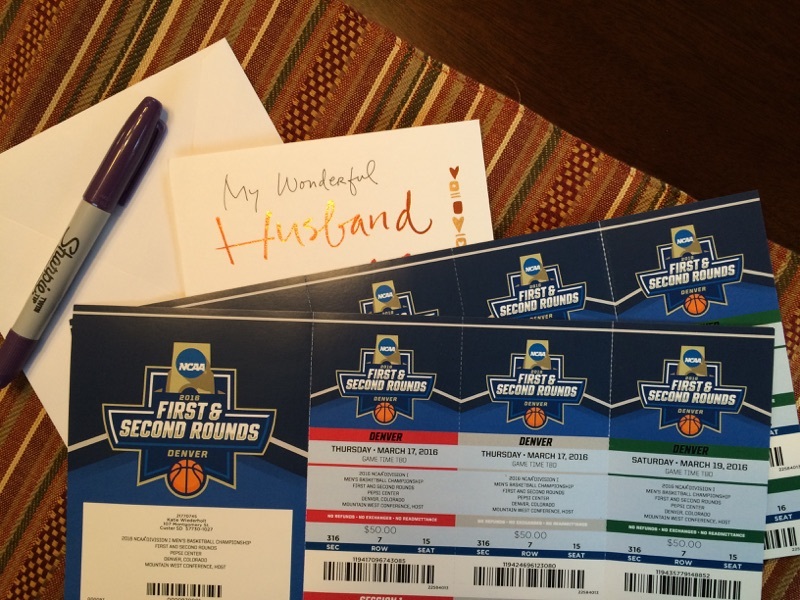 There, we’ll attend the first and second rounds of the NCAA men’s basketball tournament. I don’t know much about sports. 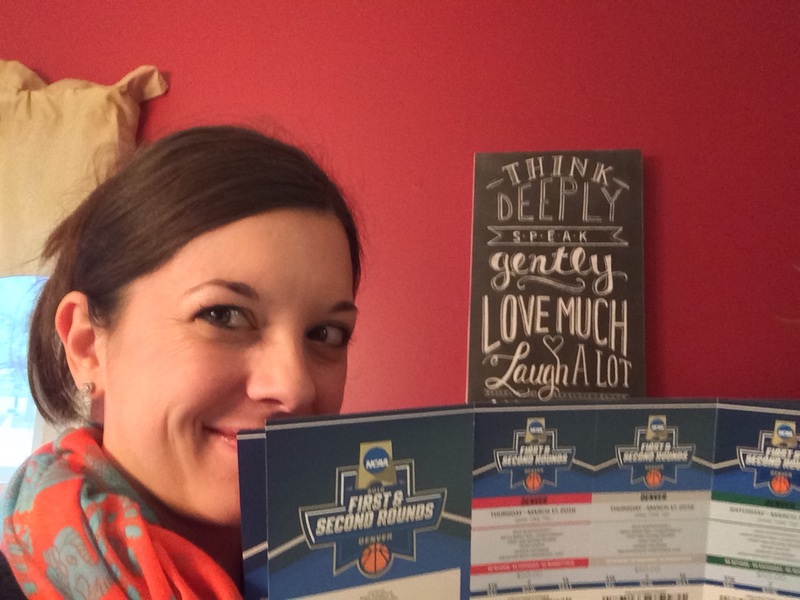 In fact, I was shocked to discover I had actually purchased tickets to six separate basketball games, not just two. Six? When am I supposed to get a pedicure and visit my favorite doggy boutique? The brackets, the big dance. I can’t help but make fun of the hype, but I haven’t seen my husband this excited about any gift I have given him. That makes it totally worth it. He deserves it. He is the most patient and kind guy I know. And that patience and kindness is certainly tried by living with two bossy girls and a spastic schnauzer. I might come back a basketball expert. Or I might come back with beautifully pedicured toenails. Time will tell. Happy birthday to my amazing hubby! Hope you have a great time! I envy you; will be watching on TV.